Achieving GDPR Compliance shouldn’t feel like a struggle. 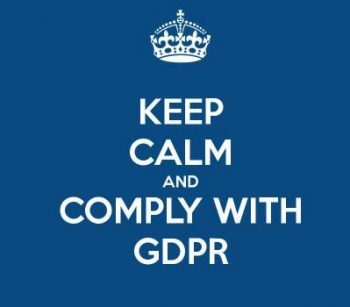 Here is a basic checklist you can use to make sure you are GDPR compliant. If your organization is determining the purpose of the storage or processing of personal information, it is considered a controller. If your organization stores or processes personal data on behalf of another organization, it is considered a processor. It is possible for your organization to have both roles. This list is not legal advice, it merely tries to help you overcome the confusion. This person should have knowledge of GDPR guidelines as well as knowledge about the internal processes that involve personal information. If you do not already have a process defined for this, you should make it available. Your customers can easily update their own personal information to keep it accurate. If you do not already have a process defined for this, you should make sure you do. You automatically delete data that your business no longer has any use for. Your customers can easily request that you stop processing their data. If you do not already have a process defined for this, you should make sure to do that. Your customers can easily request deletion of their personal data. Your customers can easily request that their data be delivered to themselves or a 3rd party. Your customers can easily object to profiling or automated decision making that could impact them. This is only applicable if your company does profiling or any other automated decision making. Ask consent when you start processing a person's information. If you do not already have a process defined for this, you will want to have this available. If you process children's personal data, verify their age and ask consent from their legal guardian. You should follow up on best practices and changes to the policies in your local environment. This only applies to businesses carrying out large-scale data processing, profiling and other activities with high risk to the rights and freedoms of people. A special assessment should be carried out in these cases. ← Social Media for Business – Is it right for you?